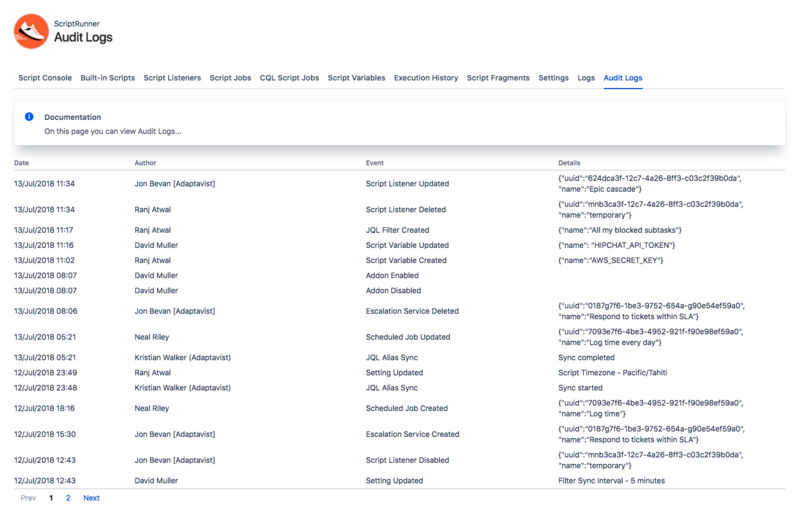 This page allows you to view logs of all ScriptRunner events that have occurred in your Confluence instance. The name of the user instigating the event. If no name is available, then it will display the user id. The instigating ScriptRunner event e.g. Script Listener Created, Script Variable Removed, CQL Job Updated.